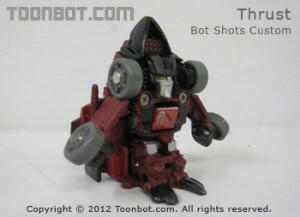 Sideswipe custom in the works. 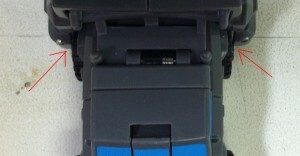 Here is a peak at his head. I’m a big Muggs fan! 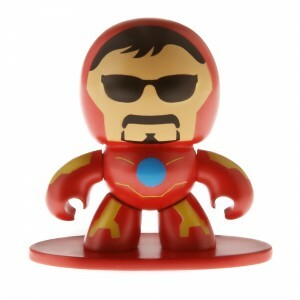 At NYCC12 there was news of a release of Micro Muggs for Iron Man 3 for next year, well I was just excited! I wonder their size in relation to the Mini Muggs? 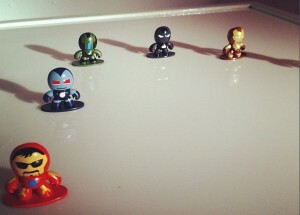 I’m already looking forward to customizing these. Let’s just hope the material is the same as previous Muggs and they aren’t too small to where I’ll need a magnifying glass to paint em! 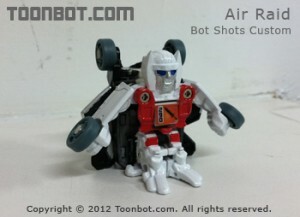 Aerialbots are one of the most requested. 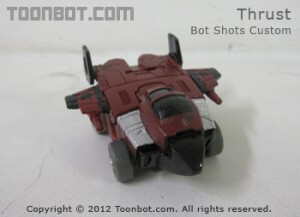 You saw the recent Air Raid, up next is Fireflight. 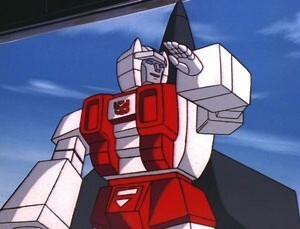 In the G1 cartoon wasn’t he the one that never watched where he was going? 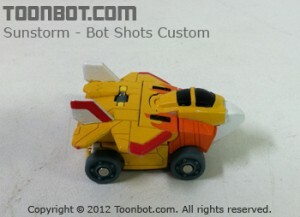 This will be the first Bot Shot with custom back wing part. 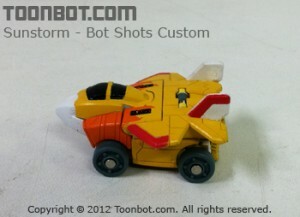 Fireflight has unique wings and tail unlike any Bot Shot which is the reason this part needs to be custom. 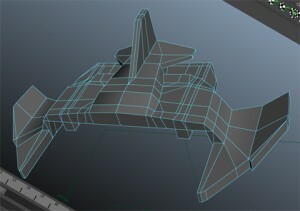 Below is a screenshot of it modeled. 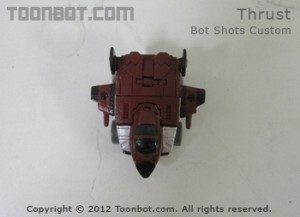 For you Prime fans you may already know Fireflight is making an appearance as a recolor of Shockwave. I’m not sure how much sense that makes. 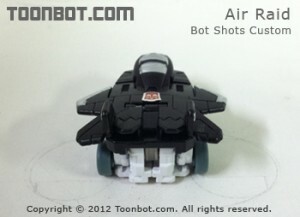 The first custom mold chest/head piece to make Aerialbot, Air Raid. 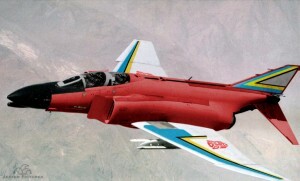 What you see is a prototype painted. 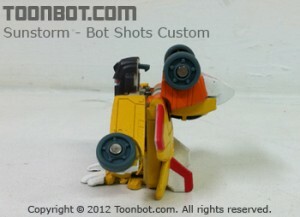 Other parts are from Starscream. Give thumbs up if you like or want one! 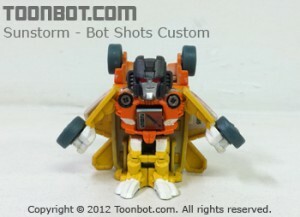 It is modeled and painted after how he looks in the G1 cartoon. 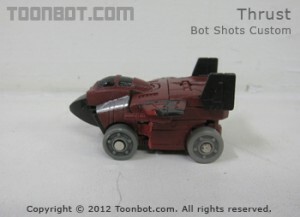 Another Bot Shots custom seeker, this time it’s Thrust! I’ve seen someone else take this approach, make it so when the front is snapped to the head that the arms won’t fold down. 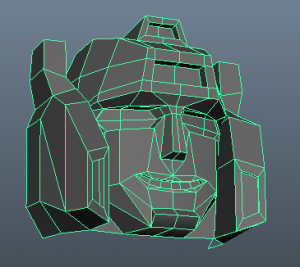 Another option is to mold the head so it has the point on it. 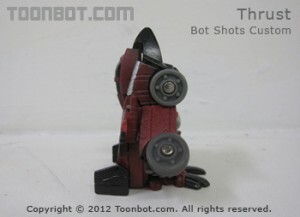 In order to make the front snap to the head without the arms folding down you have to cut into the top of the arms. You’ll end up with a gap on the sides but the look we’re going for is worth it. 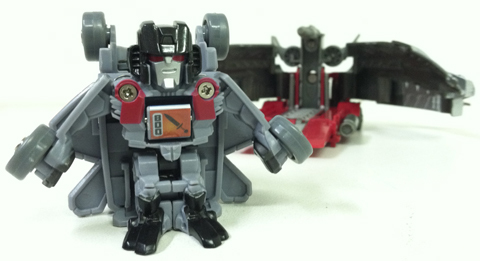 I’ve taken Acid Storm and cut his wings off and glued on Powerglide’s wings. They work perfectly! I’m not liking how the paint on the wings turned out. 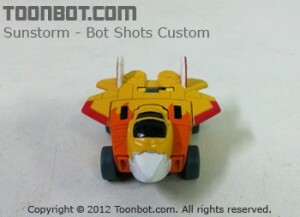 If I make this again I may add less paint detail on the wings. Let me know what you think. 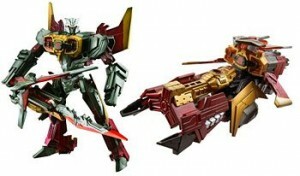 This is really cool to look at, a comparison of it sitting with Starscream. 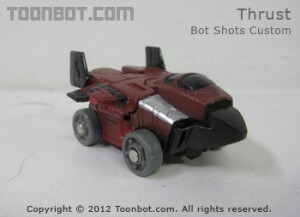 If you really want to complete your seeker collection you’ll want to pick up Thrust. 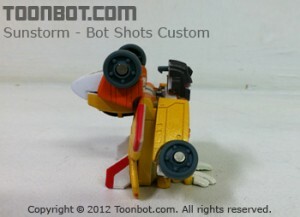 Sunstorm is a popular seeker most remembered from Dreamwave comics where he fought Jetfire. 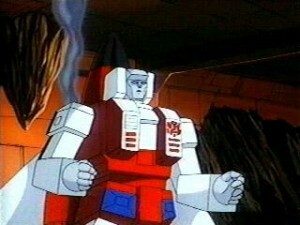 You may have seen him in a rare appearance in G1 cartoon. 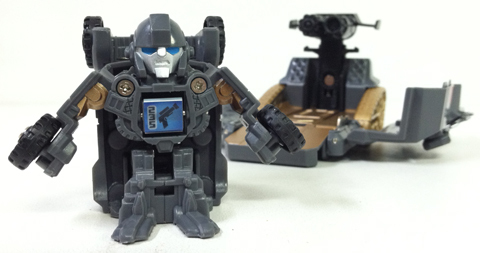 Most recently he has been released as a Masterpiece figure via Takara. 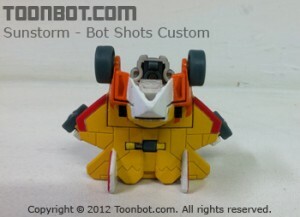 Sunstorm is a repaint of Starscream Bot Shots, I started with him because of this red eyes and red trim on the wings worked for what I needed for Sunstorm. 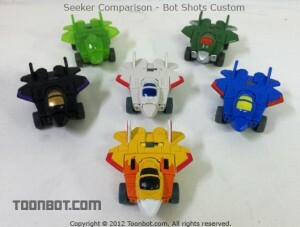 Comparison with other released seekers. 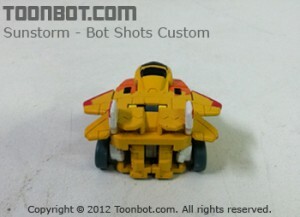 Added flame detail from orange to yellow coloring. 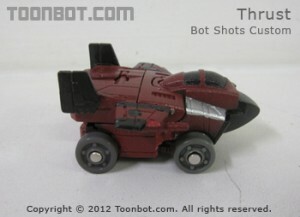 The new Ironhide and Starscream launchers are in stores. Finally the wait is over and boy was it worth it! 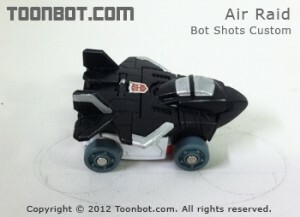 We’ve seen the Ironhide for a long time but the Starscream flew under the raydar. 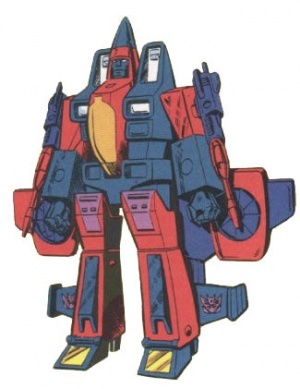 Starscream is a gray plastic like the TF movie color. What an amazing launcher! Other than its amazing design, the launcher doesn’t seem to close all the way. 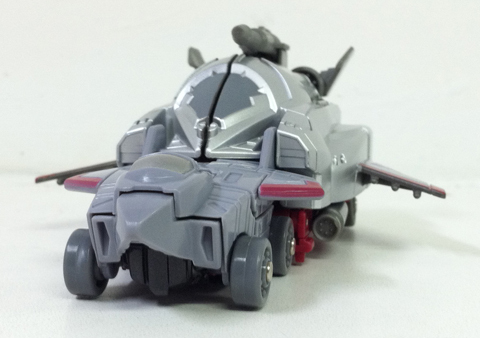 Gray of Starscream and Silver of launch doesn’t match well. 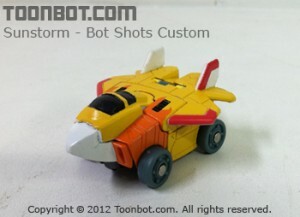 Looks very cool with a Seeker ready to be launched! 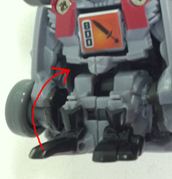 Recently I’ve run into some issues with Bot Shots legs not locking. 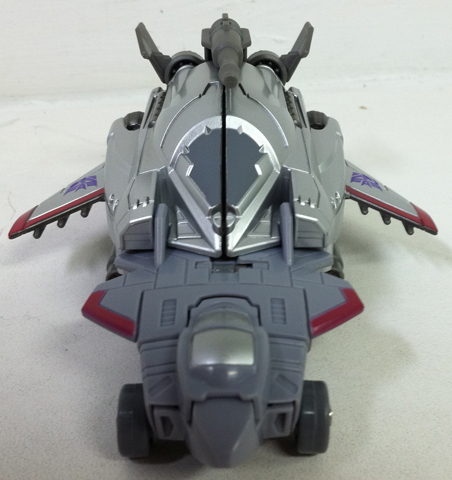 I’ve found this on this Starscream and some figures in the Battle for Matrix set. 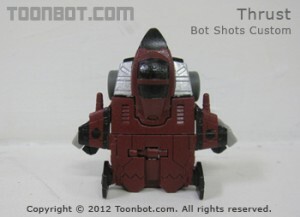 He ain’t no G1 red but it will have to do. 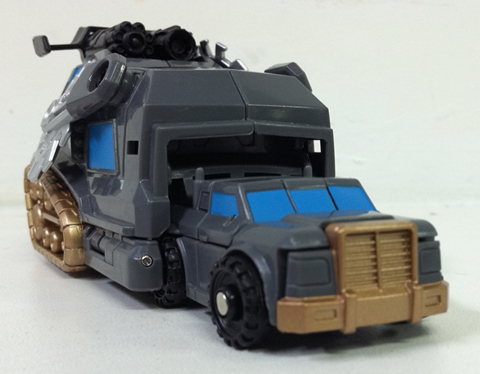 We all know Ironhide packs some serious firepower but this is nuts! 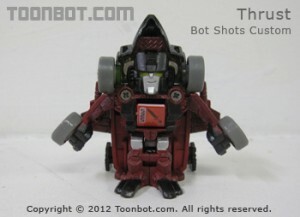 His launcher design doesn’t really make sense. 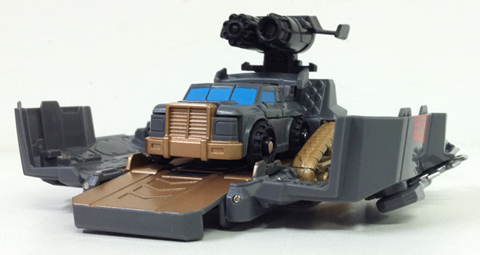 The overall shape kinda hints to the G1 van, but with all the added buzzsaw, cannons, and treads it is just doing too much. The opening is a bit taller than needed. Don’t get in the way of this when it launches! 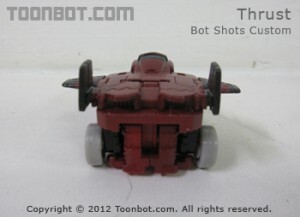 Unlike the other launchers this one’s opening isn’t wide enough for Ironhide’s backside. You kind of just have to shove it in. 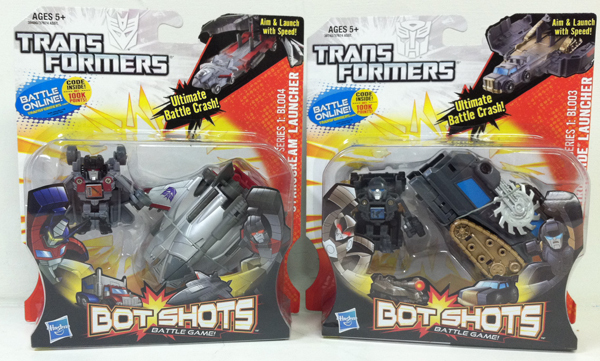 No doubt worth getting both of these but I hope for future launchers Hasbro ties in the theme of the launcher with the character and it makes sense with the TF lore. 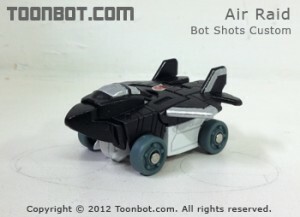 Working on my first custom mold design for Air Raid the Aerialbot. 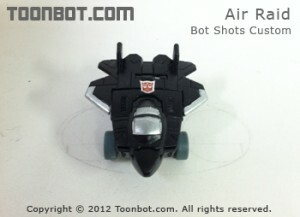 Since Air Raid is an F14 like Starscream the new piece is the chest/head piece, the rest can be repainted. 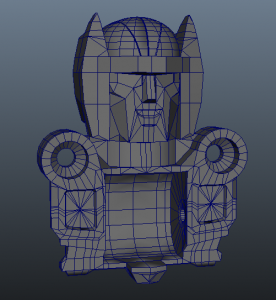 When I have the actual mold cast I’ll post more progress. 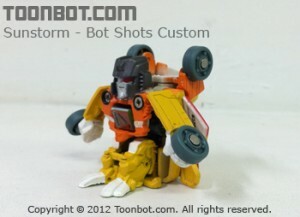 To help pay for my Toy custom hobby I am opening up this first set of Bot Shots customs series 1 for pre-order. 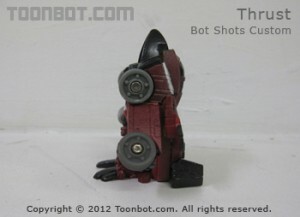 Ship date is September 3, 2012 after that orders for this series will be closed for good. Each item comes with a printed product card, signed, and numbered. Quantities are limited so claim yours today! 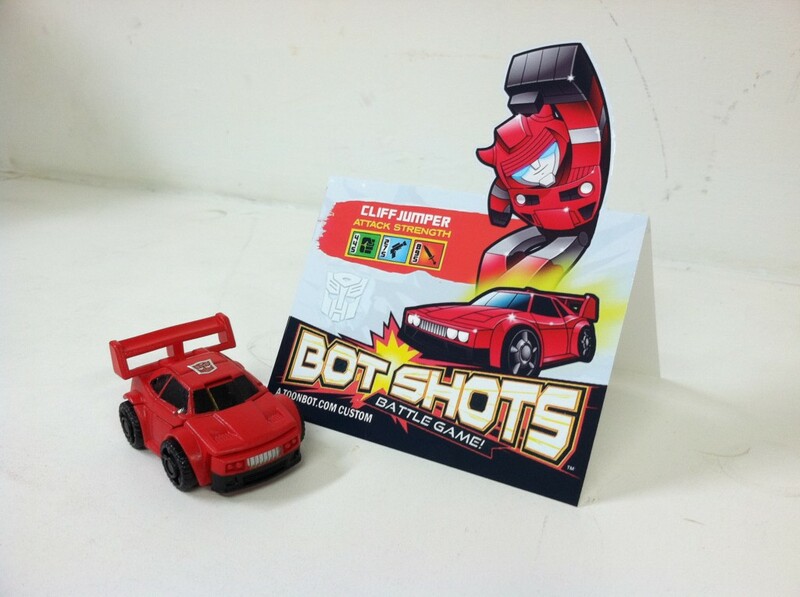 Cliffjumper is on his way to the auction winner! He comes with a custom product card I drew. I used Flash to draw it, Photoshop to lay it out, and hp printer, and photo paper to do the print.